It's a Rocket! It's a Car! It's the Corvette ZR1 Shooting Flames! It’s a Rocket! It’s a Car! It’s the Corvette ZR1 Shooting Flames! The Corvette ZR1 is one serious supercar. 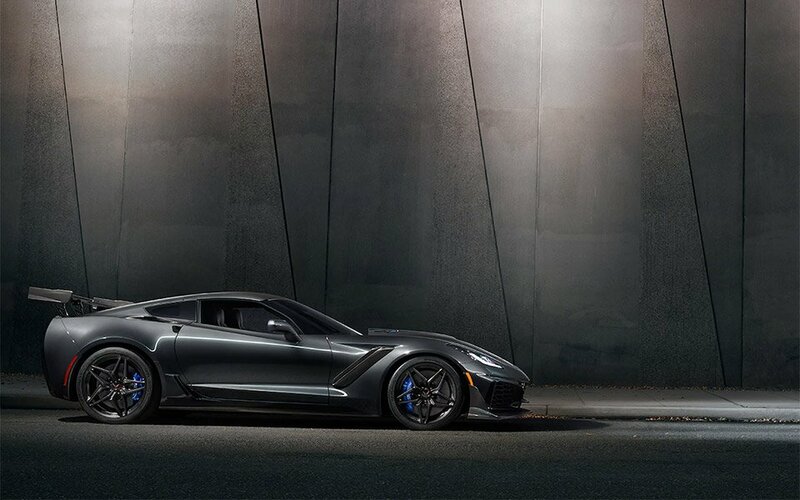 We’ve already heard about the specs for the Vette, and 755 hp underfoot sounds pretty darn good. Originally, we heard that the ZR1 would pack in 600 lb-ft of torque, but Road & Track is reporting that the beast will make about 715 lb-ft of torque and a 212 mph top speed. Dang. Chevy recently released a brief video clip of a camouflaged ZR1 being tested somewhere. While we don’t really get to see any of the car, the video does show how under full throttle, this beast shoots flames out of its tailpipes. Not orange flames mind you, but super-hot white flames. I wonder how well the fiberglass body and paint will hold up to such full throttle flame-age. The car sounds like a beast too. Be sure to check out the video – it’s probably the best 12 seconds you’ll spend today.